Discussion in 'Kymco Nation' started by ethridgem, Mar 26, 2019. Howdy! This past weekend I picked up a non-running UXV 500i SP and am looking forward to getting in running and back on the trails. As it sits right now, the biggest issue is the milky oil. I don't know if it is from a blown head gasket or just from condensation getting in the oil and not burning off. Beyond that, I need to replace the hood and roof, along with the lights that are missing from the top. Where is the best place to order parts? Does anyone have a copy of the service manual they'd be willing to share? What are you thoughts on the milky oil? Thanks, in advance! Looking forward to being a part of this forum! I found the best place for parts was thru my dealer. My dealer has treated me well, just call and give them part numbers, there replacement parts are reasonably priced when compared to other mfgrs. I have manuals for the 450i machine, different from yours but the manuals are availiable from "cyclepedia" online. Hard copies also availiable. Seastacker and ethridgem like this. Welcome to the Nation Michael! I'm not sure where the best deal is on parts, the internet is probably your best friend in that regard unless you've got a Kymco dealer nearby. As for the milky oil, it could be simply from condensation in the crankcase, or possibly someone sunk it? I would just change the oil with something generic get it warmed up and go run it for 15-20 minutes, then drop the oil while it's still hot. Then re-fill with good oil and see how it does. It's possible it could be a head gasket, but I'd start with cleaning out the crankcase, new oil and see how it does from there. 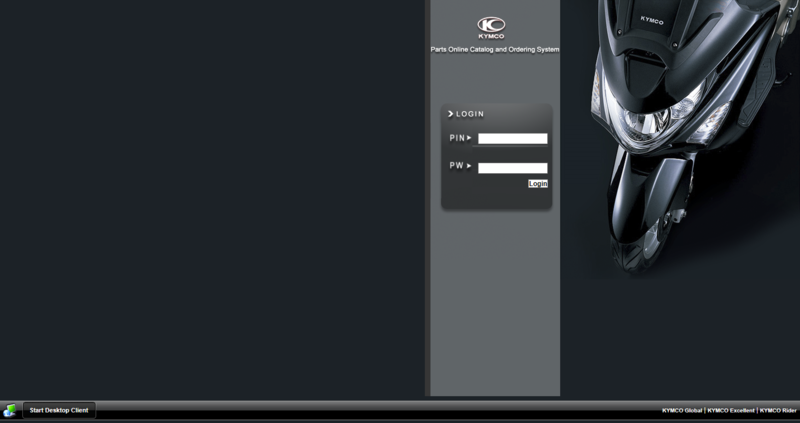 Go to Kymco USA and enter your vin, make and model for complete parts listing and part numbers. I've been trying to figure out their site, but all I ever get is a login screen that pops up and won't let me proceed. EDIT: Never mind. It seems to be the settings on my work computer. Works from the home one. I suggest a manual if you can get one. I have zero knowledge of the Kymco units, but as an example, if I took a compression reading from my old 500 single cylinder machine (Polaris Ranger), it would be shockingly low. Reason....it had an ACR (automatic compression release). I ALWAYS recommend a service manual for diagnostics or repairs that may involve diagnostics or possibly involved engine trouble shooting. The "specs" table alone is worth he money (torque specs, compression specs, valve lash, clearances, etc). Do you have any idea why its not running? If they sunk it the ECU could have got wet, and water could have got in the crankcase. The guy that sold it to me said that the family used it for little work around their place. He noticed the milky oil, so he told them to park it. That's about all I know. Now, it still won't fire at all. I ran a compression test last night and got ZERO reading, but there is air shooting out the spark plug hole. Do these units have an automatic compression release? If so, how do I successfully perform a compression test? Could this be as simple as a timing issue? That's part of the confusing mess of all this. There's no fluid shooting out of the spark plug hole, which I would think indicates that there's no coolant leaking into the cylinder. On top of that the fluid level in the radiator remains full - even after draining the oil. I'm beginning to think that the milky oil is the result of driving this thing too deep in some water. Too deep in water possibly causing the corroded fuse, milky oil, etc. Worst case is deep water ingestion while running causing hydro lock and internal damage. Definitely verify the compression testing procedure and retest before tearing it down. I'm a little confused on this, If you had the compression tester screwed into the spark plug hole, how is there any air leaking out of it? I think he means without the compression gauge hooked up there is some level of compressed air coming from the spark plug hole, but not enough to register on the gauge. If I won't build compression, then I'd check into what the valve lash is looking like first before I tore into the engine. Actually at this point, the redneck usually comes out in me and I'd spray just a touch of ether in the spark plug hole, put the plug back in, and see if it'll pop off.... if it still won't, then I'd continue to chase the compression issue.